Time to get silky smooth! 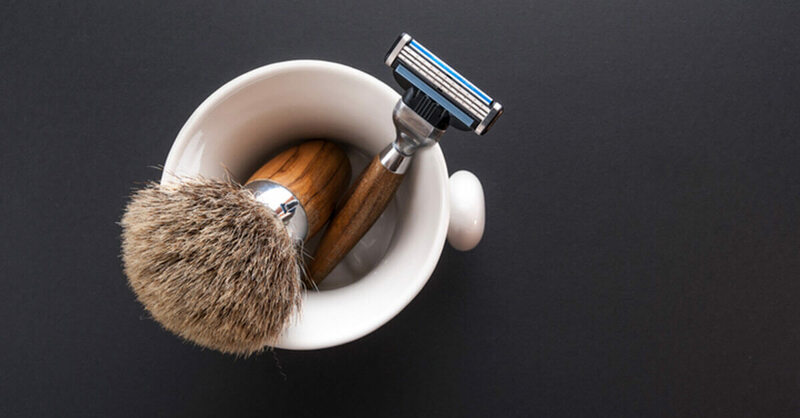 Adding a pre-shaving oil into your bathroom routine might be just what you need to get the most comfortable, closest shave ever! With nourishing carrier oils and skin-loving essential oils, you and your partner are going to love how soft and hydrated your skin feels after shaving. Blend ingredients together. Put a few drops in the palm of your hand. Gently massage into skin prior to lathering and shaving. Missing an oil and need to find a good substitution? Check out our Constituent Chart or our Fragrance Wheel to help you out! And don’t forget to check out the Safe Essential Oil Recipes group on facebook! So many recipes, so many ideas, and so much fun! My husband is constantly looking for a pre shave oil. This will be the next one he tries. Very excited to make this and try it as well. I can’t wait to try this. I don’t quite have all of the ingredients, but I’m sure I can find a substitution for kunzea, and I have been waiting to get grapeseed oil for a while now. Thanks a bunch for providing this recipe along with the extra links, I have some more reading to do! So glad I found this! I have always had horrible problems with skin irritation after I shave!! I didn’t have kunzea so I swapped for eucalyptus, and swapped vetiver for cedarwood, and just used FCO. Love it so far! Keeps my legs nice and soft and not irritated after shaving! Sounds like a great idea! Cannot wait to try the shave oils! I love that you give us all these awesome recipes! I can’t wait to try this! This sounds wonderful! I’m so happy that you linked the constituent chart to help with subbing oils! Made it easy for me to find what I needed! So excited to try this! I have everything at hand except for Kunzea but I will substitute Wood Spice to make some for my husband. 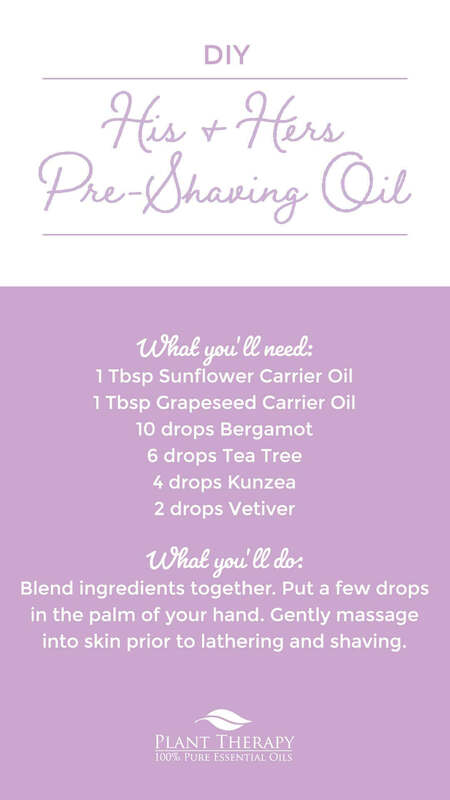 I have been looking for a recipe to use before or after shaving and this one is great! Thank you!! Can’t wait to try this diy. Love the conversion chart. Plant Therapy is great company. Quality products, good prices. So many helpful hints. Great customer service. I’ve got to say Plant Therapy has got a me as a customer for life. I love that this recipe is simple! & thank you for linking the constituent chart, I don’t have Kunzea, but I do have Balsam fir. Can’t wait to try it! Definitely going to try this on my sensitive skin. It sounds amazing! I made this and was just able to try it out the last two times I shaved…AMAZING. Our water is so incredibly hard and coupled with the very dry winter air here, my skin suffers terribly this time of the year. This worked great as a pre-moisturizing method and my skin looks so much better after just 2 uses, about 4 days apart! Thanks for the great recipe! I can’t wait to have to shave again so that I can try this out. I love anything that leaves me feeling fresh and soft. do you think this would clog the blades on the razor? I am definitely going to have to try this! I get the red bumps on my legs after shaving- hoping this helps prevent them! I can’t wait to start making some pre-shaving oil. Just another way to get the most out of my EO’s! I will definitely be making this one! I had not heard of Kunzea before; I’ll take any excuse to order a new oil hehe. I’m redhead with sensitive skin so I’m excited to try this. I tend to get red bumps after shaving and I’m hopeful this can help. This looks great! Also, thank you for linking the substitution charts! That’s especially helpful since I won’t be able to add tea tree due to an allergy in the home. My wife just got Kunzea, and I know she’s been looking for ways to use it. I’ll have to send this blog to her. I like the idea of using this as an after-shave treatment since I use an electric shaver. I can’t wait to try it. Can’t wait to try this! Thanks as well for including the substitution chart & fragrance wheel links! Can’t wait to try this! I haven’t used my Kunzea much so this will be good to try!! A preshaving oil, that’s super interesting! Love this, I want to do more with diy products so I’m glad you’re making articles about this ! I love these recipes! But I would like to see some explanation for ingredients in them, like why you chose both sunflower and grapeseed oil rather than just one? Do they have distinct properties for this application? I’d love to know more about the components of carrier oils and why you may chose one over another. The chart is so helpful. Thank you for linking it here. I think I’ll make this blend into a sugar scrub! Thanks! I didn’t know there was a wheel and a chart..I’m so glad I stumbled upon this blog post! This sounds like exactly what I’ve been needing!!! I don’t have all of the oils, but I’m excited to use the wheel to see if I can make a substitution or two. I’m very excited to try this!! I want to try this! It sounds great. Ooh, can’t wait to try this! Thanks for another great idea and recipe! 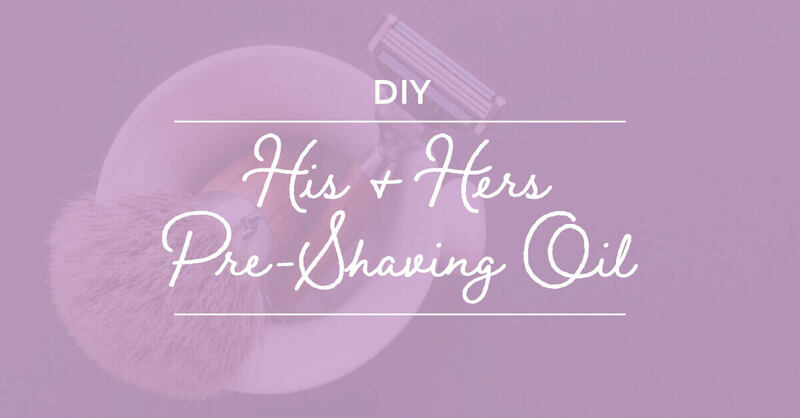 Both my husband and I suffer from sensitive skin, so you can tell when we just shaved. This blend seems like it would be a big help and reduce irritation, redness, etc. Super excited to try this out! 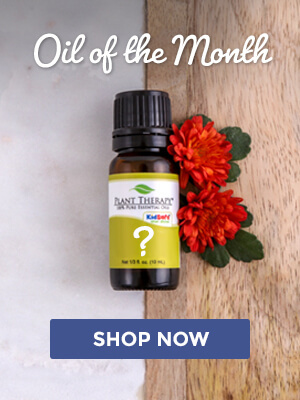 I’m just wondering, could you use different carrier oils with the same effect? This recipe prompted me to find out more about kunzea! As it turns out this is an oil that I need to try! It seems perfect for what’s been going on in my neck! Sure I’ll also try it in the shave oil. I’m excited to have softer legs! But I’m most excited to be introduced to new oils through the recipes posted on this blog! I have Sweet Almond oil as my carrier oil for essential oils. Can I use that in this recipe? 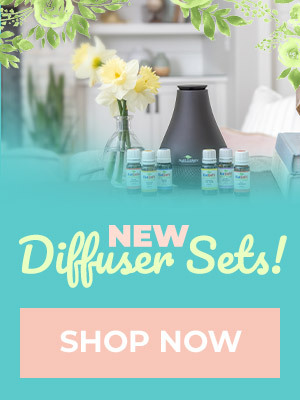 Can I use what essential oils I already have? Jennifer, you can use your Sweet Almond oil if you would like. The carrier oils chosen in this recipe are especially skin nourishing, but Sweet Almond is a suitable substitution. 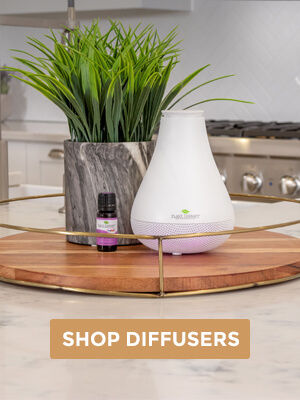 Also, if you are using only essential oils that you have I can’t really guarantee the effectiveness, or even the overall outcome, of what you make, since I’m not sure what oils you already have 🙂 But please feel free to reach out to our team of aromatherapists at [email protected] if you need more guidance! Can this be used as an aftershave skin conditioner? I am really keen to try this and some great suggestions for substitutions. I am most excited about the discovery of the Frangrance Wheel, such a great way to see what I could swap out if there is an oil I don’t have….yet! Just getting into EO so this will be a big help, thanks. So excited to see this. My kids are swimmers and my 16 year old hasn’t shaved her legs in months. She needs to shave in a few weeks for her championship meet, and I have all the ingredients for this. Yay! Im SOOOOO excited to try this one!! Ive been trying to cut out store bought items with CRAZY words I cant even Pronounce & go a more natural way! This one is going on the top of my list once I can collect all the items!! Can’t wait to try this- my husbands store bought one finished up and would love to see how this compares! This’ll be a great addition to shaving in the winter! My skin is always so dry and shaving can be really irritating. Hopefully this will help! Eye excited to try this out especially on winter dry legs. So if I don’t have Kunzea, any of the oils in the same category on the constituents chart would be an equal substitution? The same number of drops? Megan, the choices in that category are close to Kunzea in terms of a primary constituent, but not necessarily an “equal” substitution as each essential oil has their own unique quality. If you are missing Kunzea, you can either just not use anything in place of it or use one of the oils listed. I looked through each of those in the section with Kunzea (Balsam Fir, Cypress, Frankincense Carteri, Juniper Berry, etc.) and they are fine to use at the same number of drops. Nutmeg cuts it close as it is a 0.8% dilution, but 4 drops in an ounce of carrier is a safe amount 🙂 I hope this helps! Oh, I never through about doing a shaving oil, definitely going to have to give it a shot. Also very excited about the fragrance wheel! Can’t wait to try this. Thank you so much for this recipe. Ok, I’m definitely going to try this!! But I don’t have vetiver so i will have to substitute that… or order it lol! Thank you! This sounds great! Just added the oils I don’t have to my never-ending wish list!! My husband is in the Navy and has to shave every day, so this is perfect. I can’t wait to try this out and see how he likes it. What if I don’t have Kunzea? Can I substitute it with another oil? Or can i leave it out? Looking forward to trying this out. I always get super dry legs after shaving. I have coarse hair and it is never smooth after. Hope this helps even a little bit. Thanks! Can I use this in place of shave gel? Also wondering if it would make my shower floor slippery? Can you substitute the grapeseed carrier oil for fractionated coconut oil? I already have that on hand and want to make this! Oooooo! I bet this helps prevent my post-shaving dryness! Can’t wait to try this, thanks! That is great! Do you think it would be a good sugar scrub for legs?